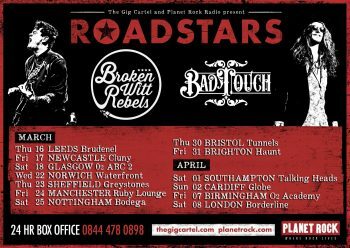 Broken Witt Rebels are getting ready to hit the road across the UK as part of the Planet Rock Roadstars tour with Bad Touch. 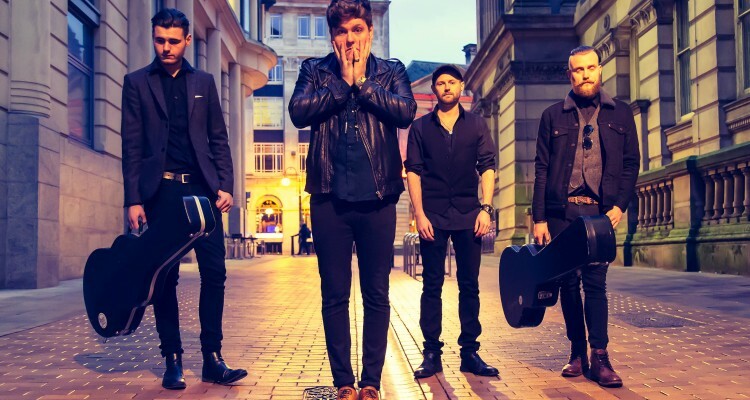 It’s been an incredible last twelve months for the Birmingham based quartet, having toured with the likes of Kaleo, King King, Whiskey Myers and Joanne Shaw Taylor to name but a few. 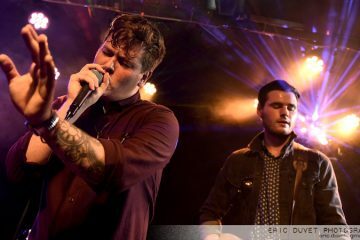 The band also picked up the “Best Rock Act” at the first annual Unsigned Music Awards held at The Troxy in London. With major label deals now on the table, the future looks bright. National Rock Review recently caught up with the band’s frontman Danny Core to talk about their plans for a forthcoming debut Broken Witt Rebels album, the Planet Rock Roadstars tour as well as giving some sound advice for aspiring new bands. 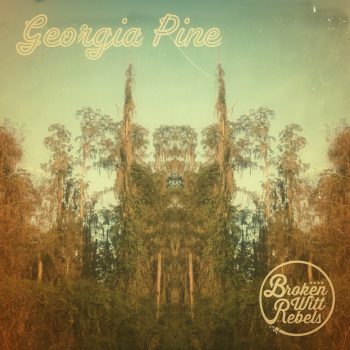 NRR: Last year you released your third EP, Georgia Pine. I was just wondering how much closer are we now to seeing a full Broken Witt Rebels debut album? Danny: Yeah, we’ve got so much material that we’ve worked on. We are sitting on probably two albums worth of material, but we’ve just had a bit of a busy touring schedule. Not only that we’ve had problems with old management and a lot of negotiations with record companies and deals, negotiating those, which took time; more time than it should have. But yeah, things are looking better now as we’ve signed a new management deal and things are coming a bit more to the forefront. To answer your original question, we are ready to go, it’s just the powers that be, once they pull their finger out. NRR: Obviously you guys have been busy, you’ve been out on the road with the likes of Whiskey Myers and more recently King King and Joanne Shaw Taylor. How have the shows been going and what has the reception been like? Danny: It’s been really good, we’ve been really well received. We are coming to the last two shows with King King tomorrow. We’ve learnt so much from these people and playing to their fans has been brilliant. With the Whiskey Myers shows, they are sort of southern based, so that’s a different kind of fan base, not sort of classic rock orientated, and they took to us really well. Also, we’ve been playing some European shows with Kaleo and that’s gone down really well. We travelled to Holland and Dublin and played some sold out shows there, which was great as well. So not only have we gone done well, we’ve learnt so much. 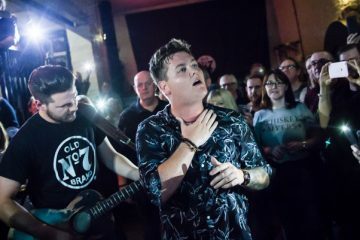 NRR: You are just about to hit the road across the UK on the Planet Rock Roadstars tour alongside Bad Touch; which is a great combination of two good new bands. 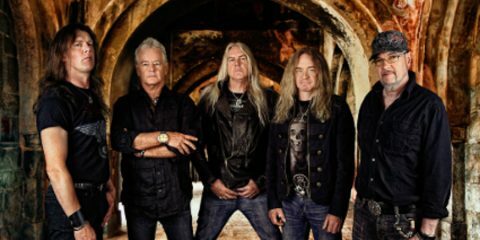 I know Planet Rock have been really supportive of you guys as a band, they championed “Low” last year. I was just wondering what are you looking forward to the most about this forthcoming tour? 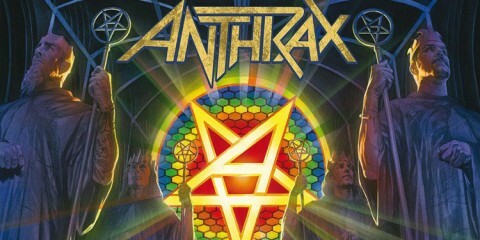 Danny: Although it’s a co-headline, I would like to look at it as more you know some of the shows we will be headlining. So we are looking at it like it’s a headline tour, as we will be playing a lot longer sets. We are looking forward to just getting up and down the UK and forwarding on what we’ve grown already with the fan base from Planet Rock and the fans we’ve grown playing with these other artists; having a more predominantly our own themed tour will be great. We will be playing longer sets and just getting up and down the country, that’s what we love doing, that’s the only thing that matters to us. 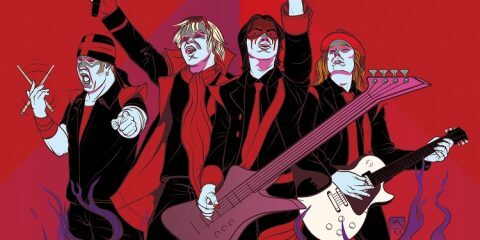 NRR: It’s a co-headline tour with Bad Touch, what do you know about those guys, have you had the chance to see them live. How much competition is there going to be between the two of you each night? Danny: Oh well they will have to bring their dinner, that’s a fact, you know what I mean. As long as we’ll bring the dinner and as long as they bring the dinner then it will a good healthy kind of rivalry in some respects. No, they are doing well and good luck to them. We’ve met them a couple of times in Norwich at the Waterfront. We’ve never played with them, but we did come off stage at Stone Free last year and they were next on and so we briefly said hello and stuff like that. So that’s the closest we’ve come to playing with them. Yeah, we’ve met them and they are good guys and good luck with their music and we hope this tour goes down really well for the both of us. NRR: As part of the Roadstars tour you are going to be coming back up to the North East again; you are playing at The Cluny on the 17th March. I know you’ve played the North East a few times recently both as headliners and also with the likes of Joanne Shaw Taylor. Obviously, you are becoming quite regular visitors to the area, have you enjoyed performing in the region? Danny: Massively, I honestly believe that the further up North personally you go, some of the people you meet are like no other in the sense of friendliness and the time given and we really look forward to it. Yeah, I would go as far as saying that they are some of our best shows we’ve ever played, so we are very respectful for that. NRR: I got to see you recently with Joanne Shaw Taylor, I know you were trying out a few new songs there. We got to hear “Bang Bang” which I thought sounded amazing. It seemed a bit heavier than the Georgia Pine material. I was just wondering is that the general direction that you are going in, obviously going back to your first EP your sound seems to have progressed somewhat. Do you think that you’ve finally found the definitive sound for the band? Danny: Yeah, I mean as a band we like to constantly evolve. We definitely don’t like to be pigeonholed into one specific genre. Some people say we are blues, some people say we are rock, rock and soul, some people say we are southern rock. I quite like the idea of people’s perceptions, I wouldn’t like to be a straight down the line one or the other. As a band, we are constantly evolving …I still wouldn’t like to be solid in one. 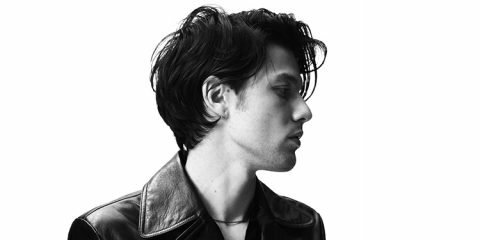 So the songs can vary from a blues track like “Turn Me On”, which is new, which is a more refined blues track, it’s great – it’s 12 bars. Then we can write some drop D really heavy riff tunes and get down and dirty with it. So that’s our spectrum of the way we write. I don’t see it changing because I wouldn’t like to be pigeonholed in just the one way. We are having fun constantly playing. Danny: Itâ€™s maybe “Bang Bang” in all fairness. It has a lot of crowd interaction and it seems to go down really well. We’ve never had a quiet crowd when playing that. Since it’s so new as well, we always enjoy playing the newer stuff. That and a song called “Snake Eyes”.  NRR: Last year you won the first ever unsigned music awards at The Troxy. We’ve been seeing so much of you guys in the last twelve months. I remember last summer driving into London and as I was coming onto the ring road seeing your faces up on some electronic billboards. It’s crazy, in such a short period of time you’ve had a meteoric rise and success. How does that make you feel? Danny: I just feel appreciative and a sense of accomplishment, but we are far from where we want to be and need to be, this is just the start. We are still absolutely slogging it, sleeping in the van if we have to, nothing has changed with regards to that. I guess the billboards and a bit of the popularity that we’ve received felt a bit like it was due, in all respects to the words. At least people are slightly aware now but by far, it’s just the tip of the iceberg. Make no mistake I truly believe we are the best band in the world, but the world don’t know about it yet (laughing), that’s how I look at it. NRR: I was asked by a fan to ask you where did the band name actually originate from? Danny: It’s a boring story. I should come up with a really cool story about something really interesting. But really it’s just, we rehearse in a place called Robannas in Birmingham, it’s like a recording studio with practice rooms. There was a Metro newspaper in the corner of the room … and this article was coming up. We just randomly picked the page and the three words that came out and not in that order, but it was Broken Witt Rebels. We thought that’s so bizarre, but in a weird way, it sort of describes us in the raw sense of what we were. I knew that we would have been a Google top search starting now and we thought why not it’s as good as any, but it has no real meaning or attachment. We’ve sort of grown into the name a bit, which is weird really. NRR: You mentioned earlier you’ve had some troubles along the way. I was just wondering with the benefit of the experience you’ve gained over the last year, what advice would you give to any other unsigned acts trying to get a foot up on the ladder, because you guys have been through it all pretty much? Danny: I think the only thing that matters is time. You know we had work and we gave up work and we had money at the time. Then you put yourselves into it and when you really go for it at an unsigned level you’ve got to invest to some degree, you’ve got to put in. I think that what you’ve always got to do is probably stay true and constantly learn off people. Let no one waste your time. To some degree like you have a lot of chancers, a lot of people telling you they’re the greatest, you’ve just got to not let anyone lull you into the sense of what about this and that. Wait for no one really, time waits for no one, so keep cracking on and just don’t be deterred from what you set out to do. NRR: What else have you got in store for the rest of this year? Danny: Well an album, hopefully we can announce that we’ve started making an album; we’ve more than demoed for the album. Also, there is an opportunity stateside for us for a month, which we are looking at, something like that in the summer time. A lot of festival appearances, some that have already been announced and some that haven’t already. So just I would say more of the same with this year, but more themed around an album and more about coming out of the country probably. NRR: Well that all sounds really good and we are very much looking forward to seeing you in Newcastle. Good luck with everything that you’ve got going on at the moment and all of the touring and we will see you again very shortly. Danny: Topman. Thanks very much again, love your work.